21Prive Casino is managed by Imperium Networks Solutions out of the UK. It is also a part of Caddell Limited NV, which is regulated by the UK Gambling Commission. It holds a licence with Curacao Gaming and is part of the WhiteHat Gaming Network. 21Prive Casino is a new establishment, having started in 2014. They offer the best of various software providers, including NetEnt, NYX, and Leander. This casino is available to the South African market, as well as other countries. As with all online casinos they do require account holders to be a minimum of 18 years of age. Age verification documents will be required. 1st deposit – 100% up toR 2,500 + 25 bonus spins (Asgardian Stones or Bloodsuckers 2). 2nd deposit – 50% up to R 5,000. 3rd deposit – 50% up to R 2,500 + 25 bonus spins (Gonzo’s Quest or Twin Spin Delux). Another promotion is the 10% deposit bonus, which is ongoing. For every deposit a player makes they are rewarded. It is based on the amount of the deposit, such as R500 would equal R50 in a bonus. Monday Blues Buster is an every Monday casino bonus of up to R50 for players. Each day of the week there is a new bonus including the Mystery Bonus Must Have Tuesday, Break the Bank Wednesdays, and Tremendous Thursday. Terms and conditions do apply to all the bonuses and promotions. For each game type there is a specific wagering requirement that allows a player to transfer the bonus winnings into their cash account. 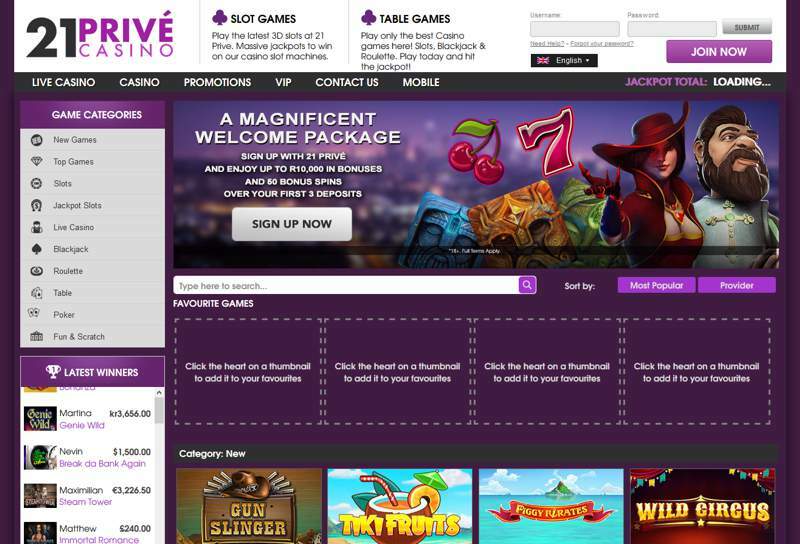 21Prive Casino offers live casino, casino tables, slot games and bingo options for both PC and MAC computesr. They also have a mobile version that works on tablets, Apple, and Android devices. 21Prive Casino offers South African players the widest range of casino games from different casino game vendors. A list of these gaming software providers are 2 By 2 Games, Blueprint Gaming, Evolution Gaming, Ezugi, Games Warehouse, Genesis, Leander, Lightning Box, NetEnt, QuickSpin, Stake Logic and WHG. For live games, players get to experience a Vegas or Monaco style from the comfort of their home while playing baccarat, blackjack, poker or craps. South African players can now play at a live casino via a live feed. 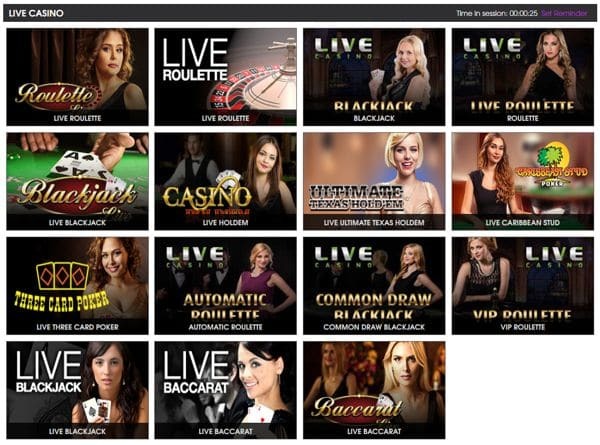 Sign-in to your 21Prive Casino account and click on the Live Casino link. There are a variety of Live Blackjack, Live Roulette, Live Craps and Live Poker. All bets are in your local currency the Rand. 21Prive Casino offers SSL encryption to ensure all payments and withdrawals are kept secure. They also adhere to UK gambling rules regarding safety keeping only information that is pertinent to operate a casino and never sharing those details. At this casino, there are numerous ways to make a deposit or withdrawal. 21Prive Casino does strive to complete all withdrawals in under 48 hours and requires account verification before money transactions can be concluded. Payment methods include Visa, MasterCard, Skrill, UKash, Poli, PaySafeCard, and Neteller. 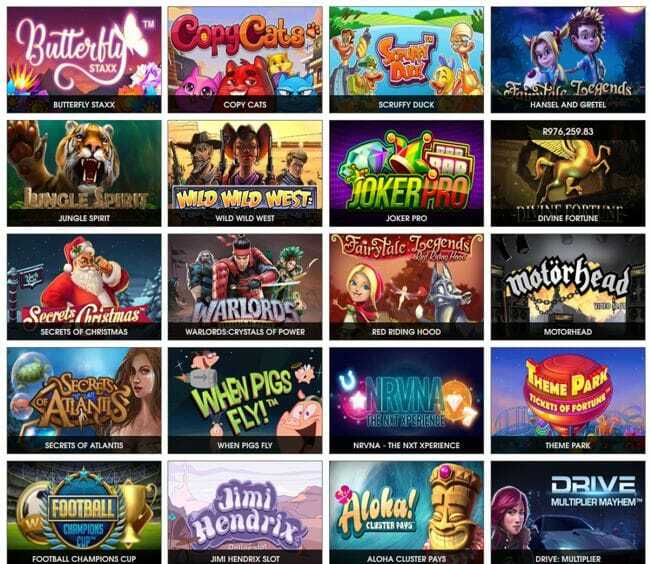 Although it is a newer casino, 21Prive does have plenty to offer players from multiple gaming software options to numerous games and bonuses. There is something for everyone at this casino and they offer transparency regarding licensing and regulation ensuring you can trust their brand.